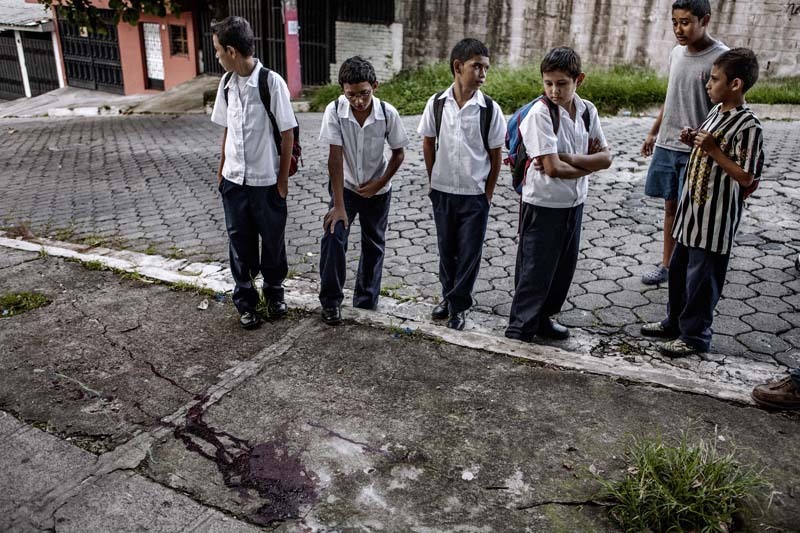 A group of children in school uniform observes the bloodstain left by the body of a teenager student killed in Soyapango, El Salvador. The killings of students have been common in recent years in El Salvador. The authorities blame gangs for this phenomenon.